West Bengal is a multicultural state in the Eastern region of India. It is distinctively unique for being the only state in India with mountains in the north and sea in the south, with vast stretches of plains, plateaus, and deltas between them. The Himalaya in the north offers a great number of destinations and tourist spots. Wildlife sanctuaries also have resorts scattered on their periphery. Museums of various discipline are located in the Southeastern region. Several science museums and technology demonstration institutions are scattered across the state. Monuments and places of worship had been influenced by several cultures, their distinct architecture also speaks of the time of their construction. British influence had led to the construction of many buildings featuring European style architecture, a few noteworthy of them carries a Gothic influence. 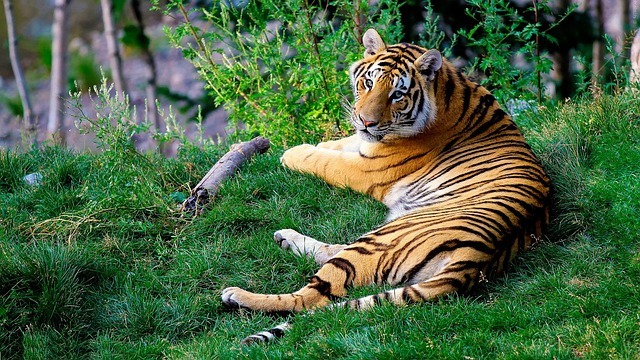 Sundarbans National Park is a wildlife sanctuary with Royal Bengal Tigers and deer found in forests and mangrove swamps UNESCO World Heritage site. 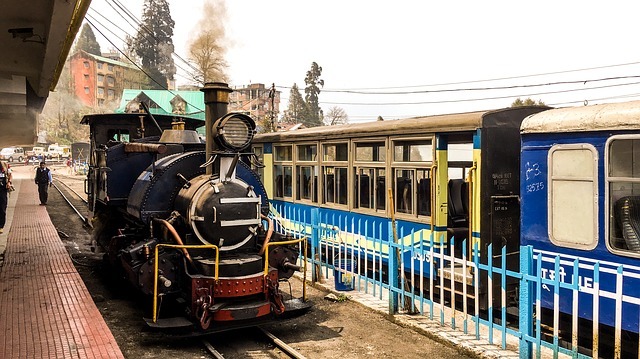 The Darjeeling Himalayan Railway (DHR), also known as “Toy Train”, is a 2 ft (610 mm) narrow-gauge railway based on zigzag and loop-line technology which runs between New Jalpaiguri and Darjeeling. Built between 1879 and 1881, with six zig-zags and five loops, the railway is about 88 km (55 mi) long. Its elevation varies from about 100 m (328 ft) at New Jalpaiguri to about 2,200 m (7,218 ft) at Darjeeling. The daily tourist trains run from Darjeeling to Ghum (India’s highest railway station). On 2 December 1999, UNESCO declared the DHR a World Heritage Site. Two more railway lines were later added, and the site became known as the mountain railways of India. West Bengal has numerous independent theatre groups locally called “Jatra dol” (traveling group/band), who perform shows mostly in the rural areas. Foreigners, not familiar with the dialect spoken, can enjoy the atmosphere surrounding these events, as fairs organized by local inhabitants, merchants and craftsmen often accompany such gatherings. Kolkata has many established theatre houses, which host events by international theatre groups frequently. Such events draw people from around the globe as it offers a unique opportunity to share culture and ideas. “Adda” is a term Bengalis use for freestyle intellectual verbal information sharing. It is a common sight in Bengal to find groups engaged in rigorous discussion and debates, though more notably in Calcutta. Such gathering always welcomes anyone who wishes to join them. It offers a great opportunity to learn more about the local customs, the people and their views on different things and happenings in and around West Bengal. English speaking travelers can visit Nandan film complex any time of the day to find the place brimming with such activities. People from various age groups will happily invite foreign tourists to join their discussions and share thoughts, ideas, and experience. Take a boat ride across the Hooghly River, or hire a small boat and spend the evening discovering the banks of the river around Kolkata, Howrah, Diamond Harbour, Chandannagar or Murshidabad. Boatmen usually demand ₹ 500 for an hour. Price is negotiable. In the plains, during summer the temperature ranges between 26 °C (79 °F) and 40 °C (104 °F) while winter experiences between 13 °C (55 °F) to 19 °C (66 °F). The mountain regions have an average temperature of about 15 °C (59 °F) during summer and 2 °C (36 °F) during winter. North Bengal receives the highest rainfall: 200-400 cm, the coastal region around 200 cm, while the western plateau 100-150 cm. Draught like condition may occur in the districts of Purulia and Bankura. Bengal experiences 5 seasons: Spring, Summer, Monsoon, Autumn, and Winter. Spring is short and more dominant in the northern region. Summer commences from the first week of March and continues till June. The weather remains hot and humid during the day, accompanied by cool breezes at night. The western highlands will experience a hot dry climate. Thunderstorms locally called Kalbaishakhi occurs late summer. Monsoon starts from July and ends late September when torrential rainfall gives rise to severe floods in the south. Autumn is short, between October and mid-November. The retreating monsoon at this time may give rise to storms. Winter sets by late November and continues till Spring arrives in February, January being the coldest. The Himalayan region in the north experiences snowfall during winter, usually after mid-December. Bengali is the main language here. Apart from Bengali – English are also widely understood by the local people. In the Darjeeling area, the main language is Nepali. Bengal is famous for fish preparations and sweet-meat but some of the vegetarian dishes are also a specialty. In earlier centuries widows were prohibited from taking anything other than vegetarian food (predominantly they still are but now rules are being broken) and they were principal chefs in large homes. They developed the vegetarian dishes extensively. In a big city such as Kolkata, one will get food as per the choice of people from all over the country. Then one gets Chinese, Thai and continental. In most of the other towns, it is Bengali cooking, plus Punjabi or North Indian preparations and some South Indian outlets. Mughlai dishes are popular. Kolkata is normally the gateway to the state, but there are entry points all around. Two commercial airports are at Kolkata and Bagdogra. The state has a number of smaller airports. Railways link it with other states from all sides. Major road connections are NH 2 from Delhi, NH 5 from Chennai, NH 6 from western India and NH 31 from Guwahati. Major ports are Kolkata and Haldia, and there are a number of smaller ports. Kolkata is also connected by the golden quadrangle that joins the four metropolitan cities of the country (Delhi, Kolkata, Mumbai, and Chennai). Within the state, the main transport links are trains and buses. Apart from the mail and express trains coming from outside the state (they are generally very crowded), there are a number of fast trains within the state and a large number of passenger trains and locals (mostly around Kolkata). Taxis and hired cars are available in most places. West Bengal is very safe for foreigners. There is hardly any incident of crime against foreigners in recent years. People are friendly and accept people of different cultures warmly. As a foreigner, you might find people staring at you but they are just curious. But if you notice anything objectionable in their behavior with you, face them boldly and ask for help. People are helpful and you will have them coming to your rescue. You may also call the police. But people on the roads are helpful to foreigners and they can be relied upon. West Bengal is a very politically active state. You may witness clashes, which most often occur between students of fronts affiliated to the ruling Trinamool Congress and the opposition parties. It is better to stay out of the matter and leave the area, as even the police sometimes get involved.